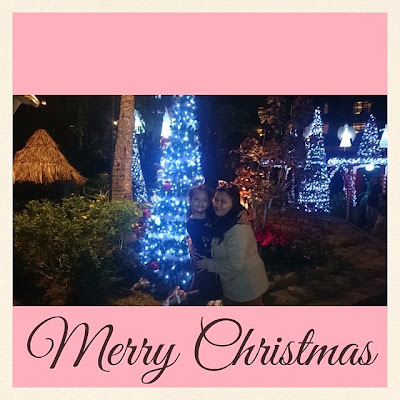 How did you celebrate your Christmas? 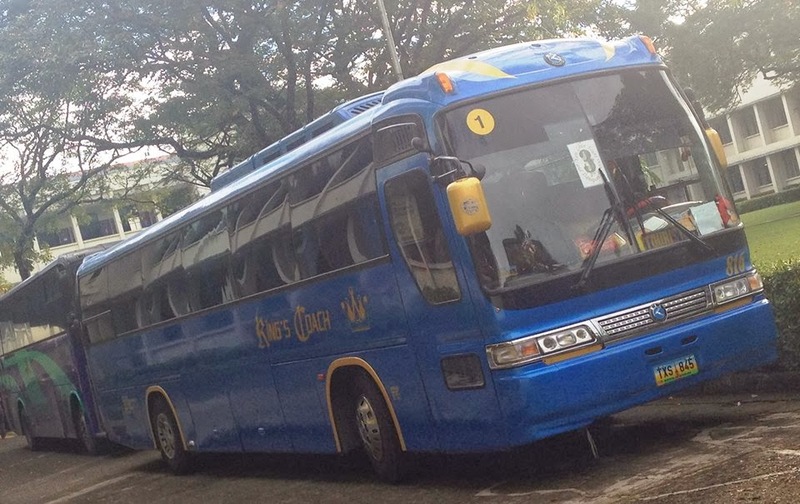 My family went to Baguio (3 days/2 nights) and celebrated Christmas there. 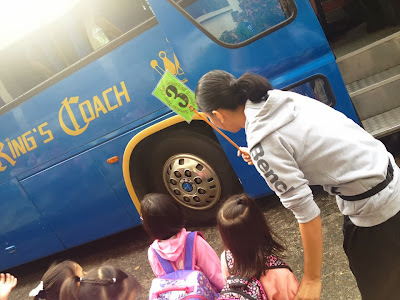 We've been to Baguio several times already but since it's the first time for the kids (Meg and my nephew Kieran), we decided to make most of their school break and gladly, they enjoyed! I will make a detailed post for it or you might want to check my Instagram - eneri0411 for the pictures. 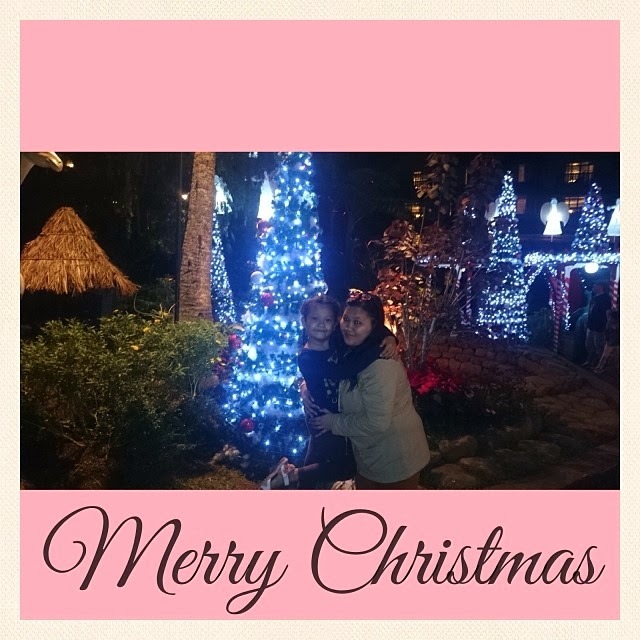 Anyway, Wishing you and your family a very Merry Christmas! Do you ever have this feeling that you want everything to be perfect? Or when something is wrong you feel very disappointed and frustrated? Just please raise your hand so I won't feel I'm starting to lose my sanity here (lol). I worry too much, I worry about little things of little or no importance, or the things that are not yet happening or about to happen. 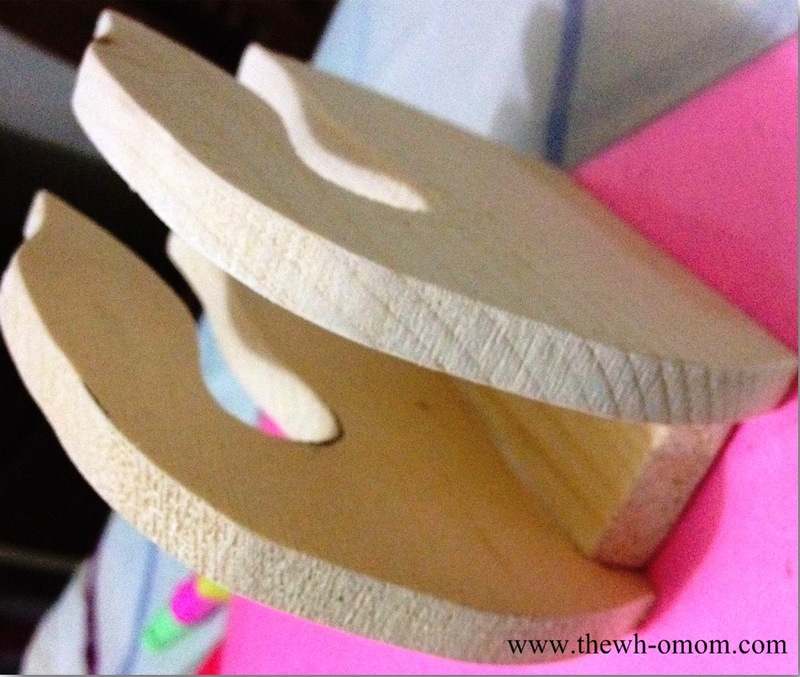 I'm just so concern that this crazy thing inside me will make me an "obsessive worrier". Now I worry that I worry too much! 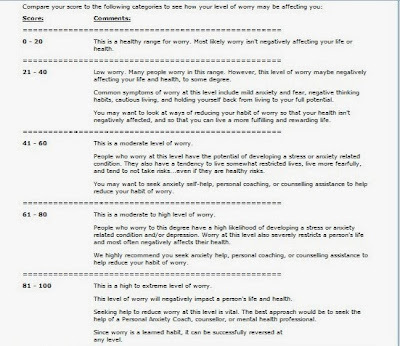 I found this Worry Test online - http://www.anxietycentre.com/anxiety-tests/worry-test.shtml. Go to the site to take the test. 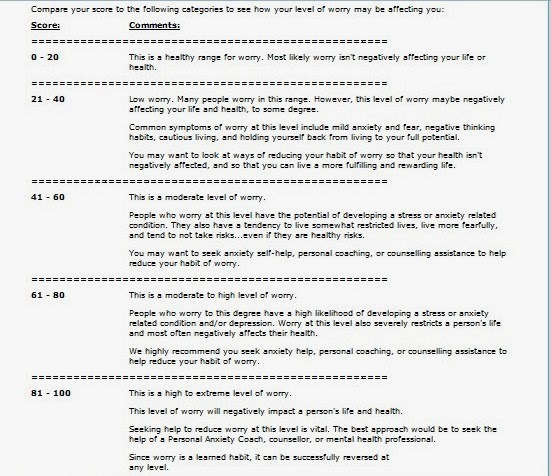 Results ranged from 1 to 100 with descriptions to know your level of worry. My Worry Score is 62. Waaaahhhh! This is a moderate to high level of worry. counselling assistance to help reduce your habit of worry. Is this for real? (defensive mode lol) Inhale, exhale. I really think I need to start shifting my thoughts to other things. I read in one article, You must give up your belief that worrying serves a positive purpose. Minsan kasi I tend to worry more so that I can convince myself that I am doing something or I am very concerned about the problem. 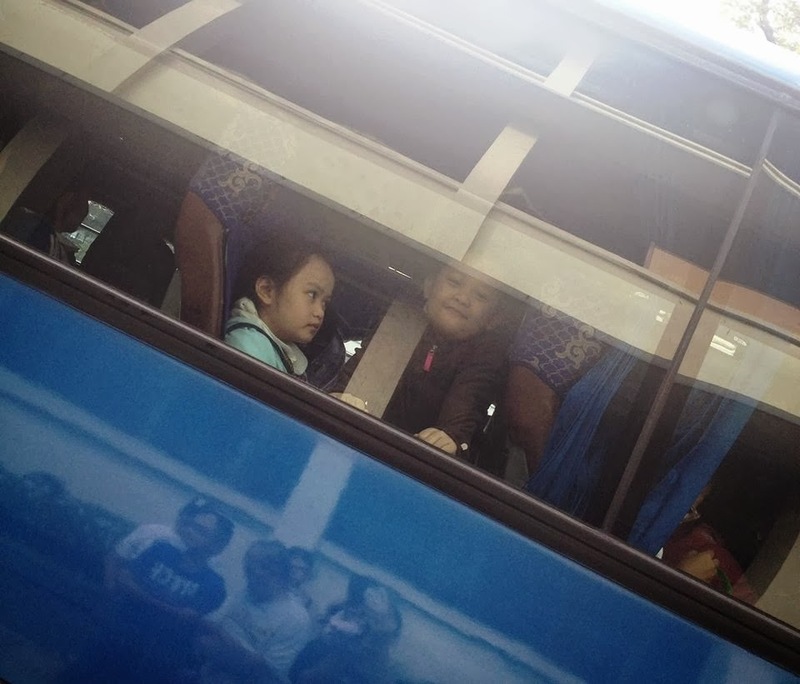 But that is so wrong pala. Worrying and Problem Solving are two different things. I guess I need to stop overdoing things. This is very hard but learning to trust the uncertainties is a good start. It's hard for me to detach emotionally also. So this process will take time. I'm starting to read this - How to stop Worrying. I just really hope I can find all the strength to stop this habit before it worsens. You guys? Do you worry too much? Oh, I Worry Too Much! In every birthday celebration, especially for our kids, cakes are very important. The perfect birthday cake is the one that makes them happy - tasty decorated cake with a candle stuck in the middle. Every birthday celebration is an event to celebrate a milestone in our child’s life. 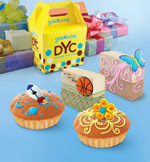 Providing the perfect birthday cakes is a source of stress for some parents but with Goldilocks through the Baby & Family Expo Philippines 2013 on December 06-08, 2013 at SMX Convention Center Manila, Mall of Asia Complex, parents will now discover how to make their child’s birthday a memorable one. Thousands of families are expected to join this three-day event, wherein the country's top bakeshop will also offer an exclusive 10% booking discount to Baby Expo visitors. 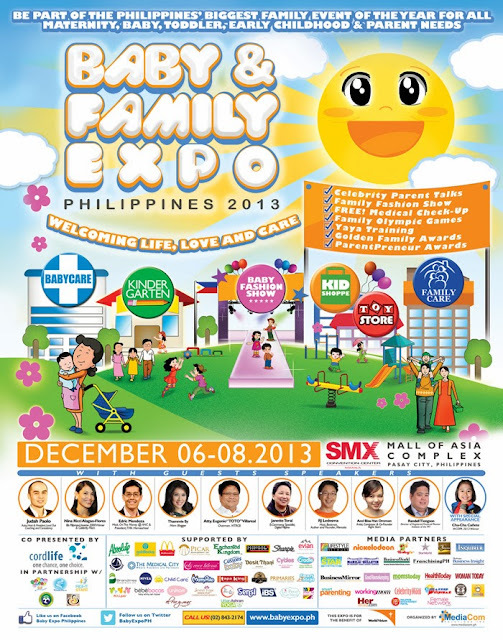 Organized by MediaCom Solutions Inc. and co-presented by Cordlife, the country’s premier biggest family event of the year to family development and child care dubbed as “Welcoming Life, Love and Care” will cover the stages of family growth from pregnancy, maternity, newborns, toddlers and early childhood. The event will also feature educational talks and seminars, fun-filled activities and exclusive discounts from over 200 exhibitors. For queries and updates, you can call +632.843.2174, email info@babyexpo.ph and join the community at https://www.facebook.com/babyexpoph and @BabyExpoPH. First time I tasted the food at Yoshinoya was at their Robinsons Galleria branch during the event Lunch with Ms.Earth Candidates. It was actually good considering the fair price they offer. 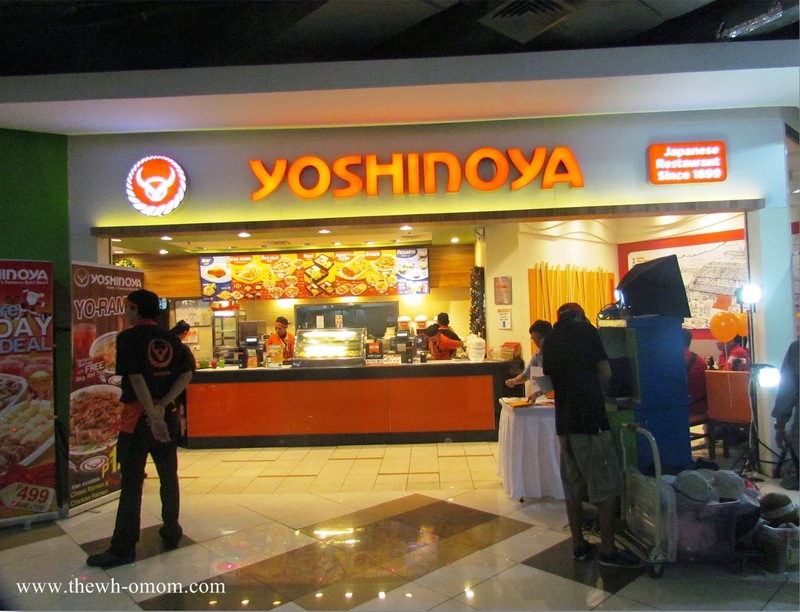 Personally, I haven't tried dining at Yoshinoya because I thought they are also like the other Japanese restaurants that are too expensive for a big family to dine to. Anyway, we (with my siblings and Meg) tried their branch at SM Manila. 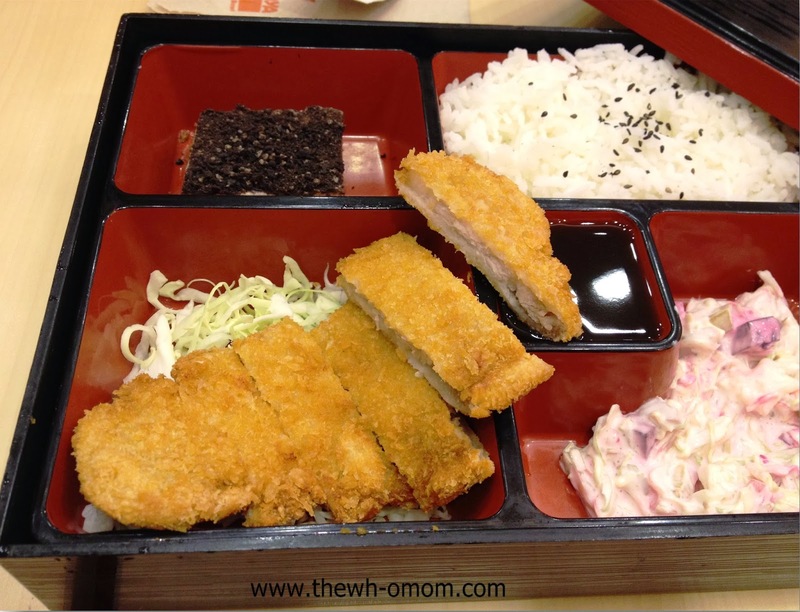 We love Japanese food and my concern is if the little girl will like it. 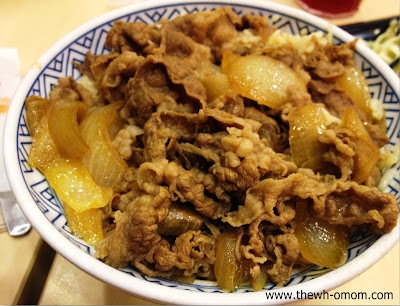 We ordered Beef Misono Bowl, Jumbo Plate B (Combination of Beef Gyudon, Beef Yakiniku with beansprout), Pork Bento, Kani Salad, Choco Mousse, and Red Tea. This one, I super love! 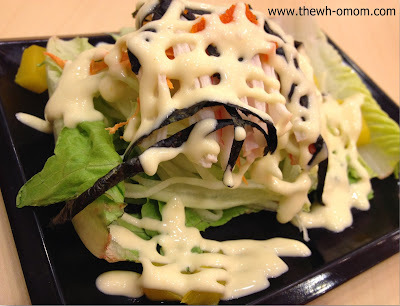 The crab sticks together with the seaweed and the Japanese dressing is simply delicious. Plus the vegetables are so fresh and crunchy; I finish everything in a few minutes. I chose this for Meg since she loves saucy food. 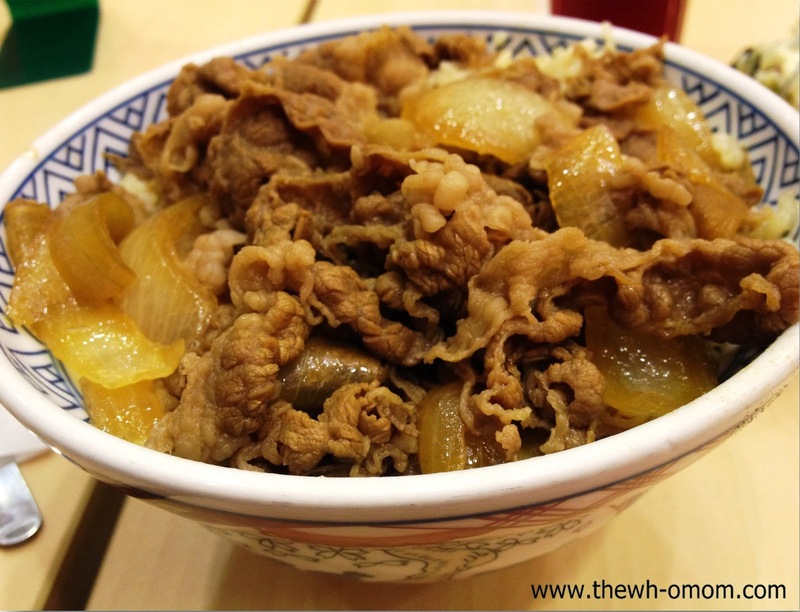 The onions made this dish even more flavorful. I believe their specialty is rice bowls so no doubt that this one is really good. This plate complements all their flavors. 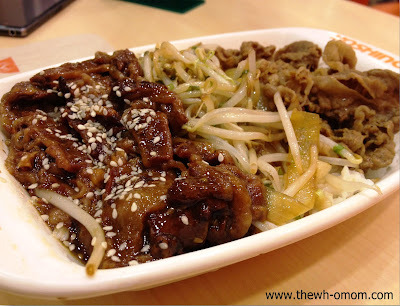 The taste of Beef Gyudon (a little bland), combined with the very distinct flavor of the Beef Yakiniku, with the beansprout make this a complete meal. 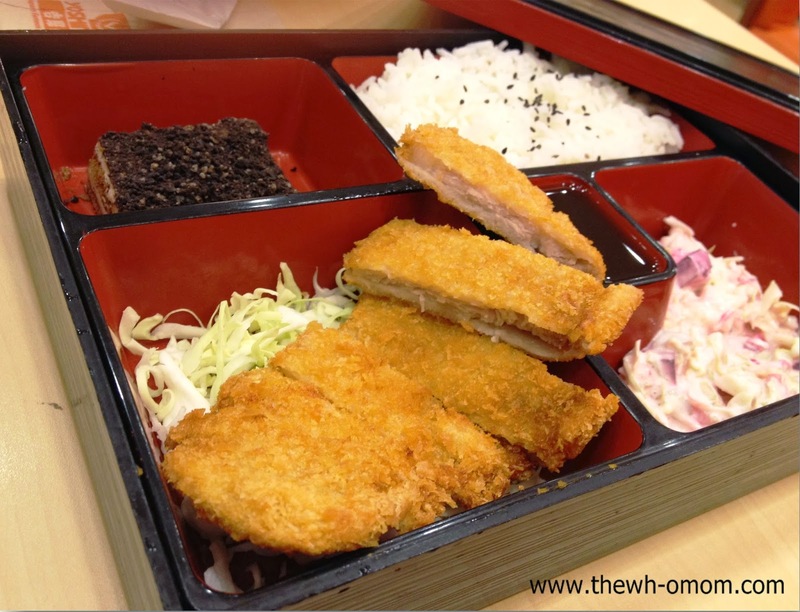 Their pork bento is also a must-try. 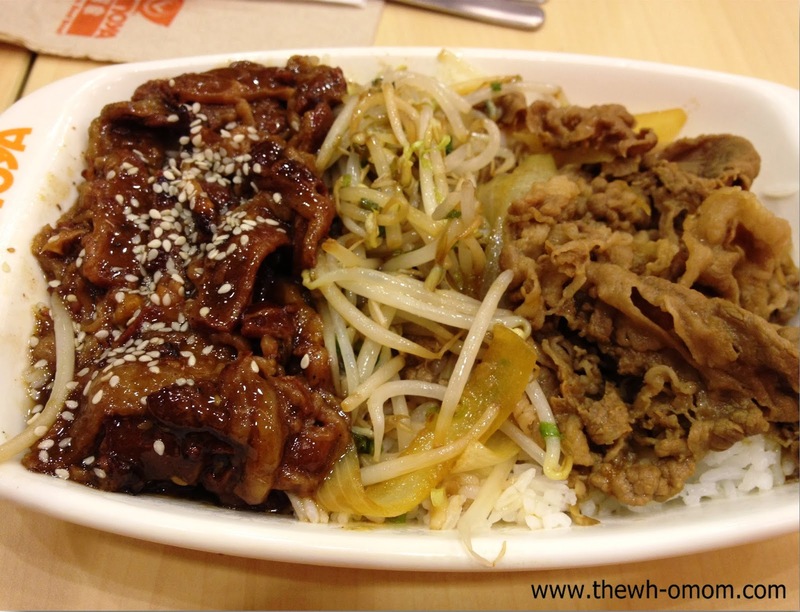 I love the taste of the sidings (cabbage with dressing), sarap! 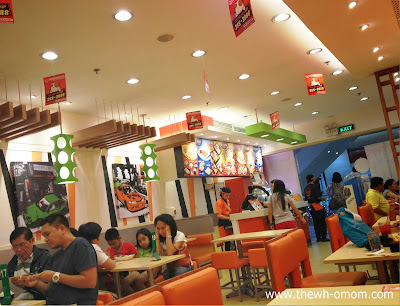 Kulang sa rice hehe... The pork tonkatsu is a little bland but its sauce is perfectly sweet and spicy at the same time. 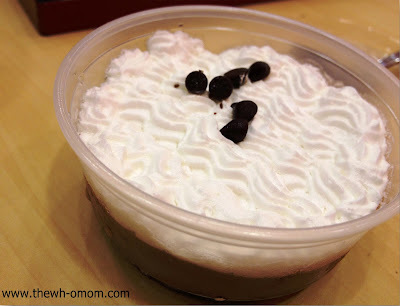 The dessert (I think it's Tiramisu) is also superb! This is one meal that's perfect for your budget and not a bad value at all. The little girl also ordered this dessert, she said it's delicious! Our meal (4 people) costs P700. Bongga, 'diba? 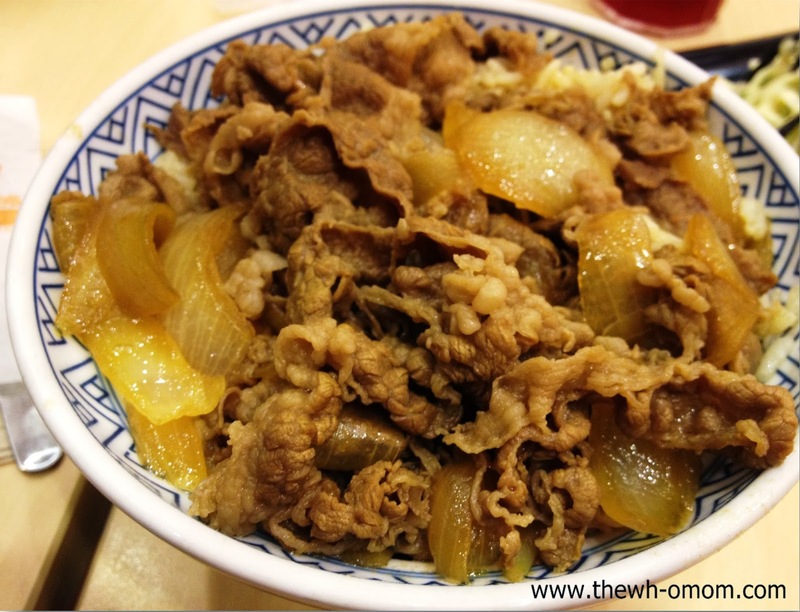 With their delicious dishes, Yoshinoya is a good option for value, too. I have few suggestions, though. I hope they can also serve refillable drinks and package meals for a group. 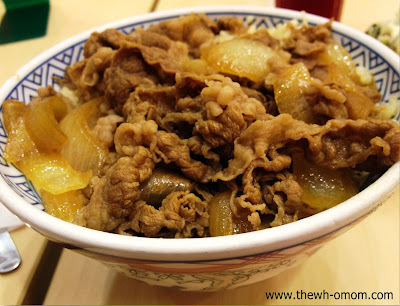 So in a scale of 1 to 10, where 10 is best, I give Yoshinoya a 7. Disclaimer: All opinions are mine and of my family. My opinion/experience may be different from yours. I love watching beauty pageants on television. I always got fascinated with how tall and skinny they are (parang mga Barbie!). 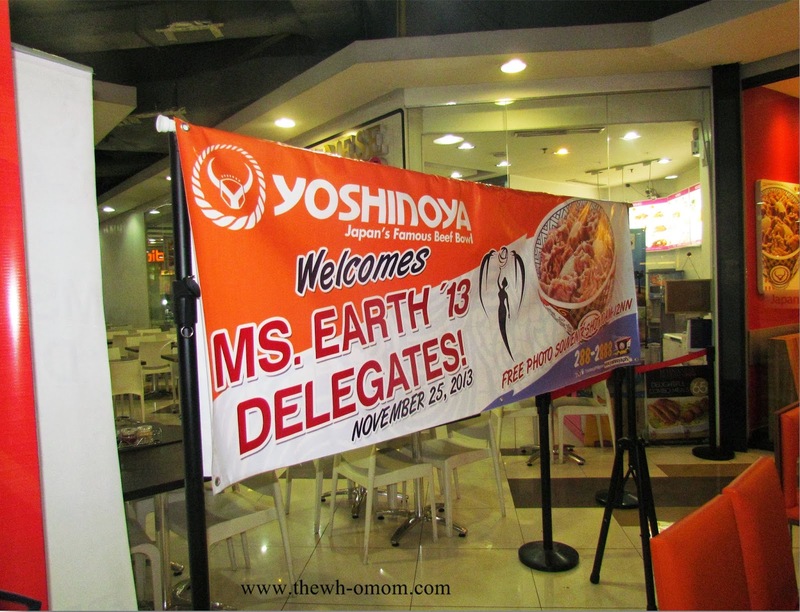 Last Monday (Nov.25, 2013), I was able to see some (32) candidates for Ms.Earth 2013 at Yoshinoya, Robinsons Galleria. The staff and crew were all ready to welcome the delegates. We waited for the candidates' arrival and they were all very pretty in their casual wear. It was my first time to see International Beauty Queens up-close so I was kind of in a star struck moment when they passed by one on one as their names and the country they represent were called. Look at them, they are real Barbie dolls! They went inside to enjoy the food at Yoshinoya (will share my food experience on my next post) and they gladly smiled in front of the cameras. Everyone is a "darling". After lunch, the candidates played a game. The ladies were all in "game" mood even on their high heels. Here's a group picture together with the owner. Thanks to Cha of http://www.travelonshoestring.com/ for inviting me. 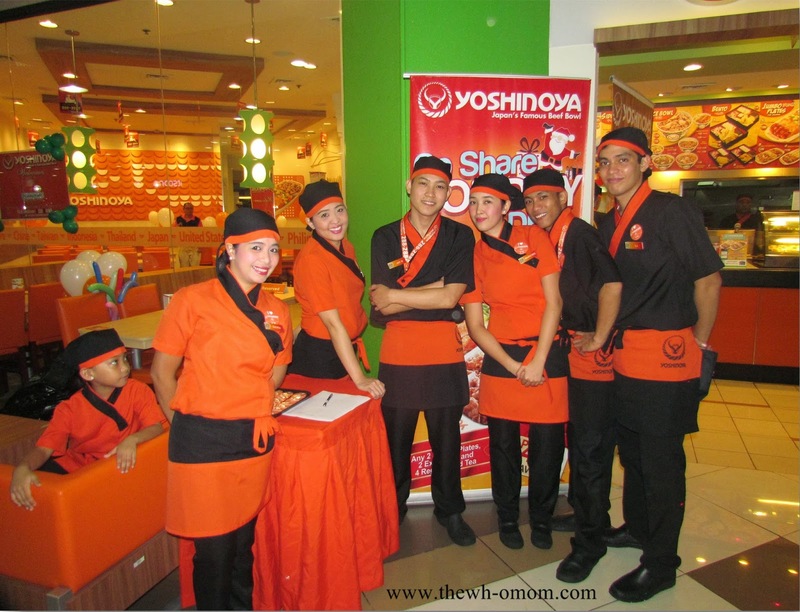 Also heads-up to the whole Yoshinoya team for this fun event with these beautiful ladies. More power! 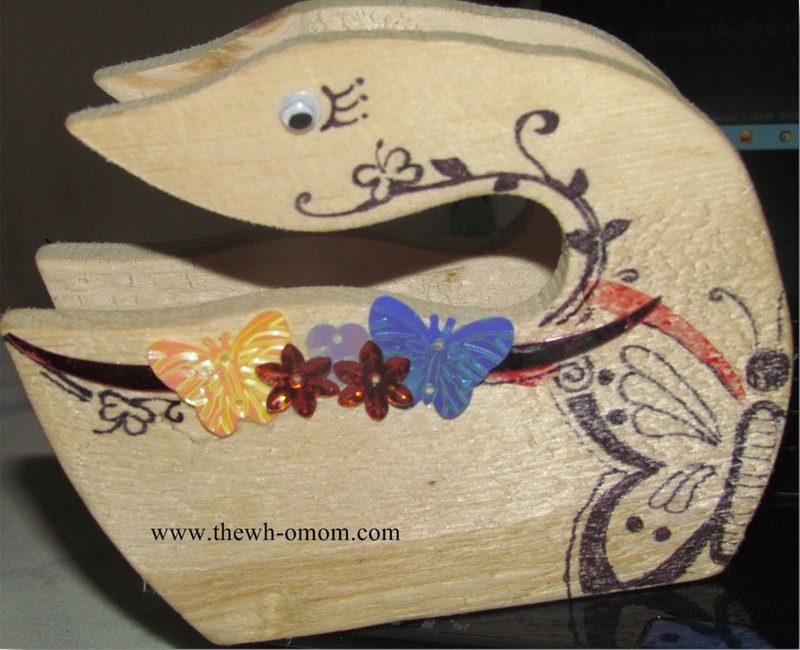 Part of Meg's (my daughter) 2nd Trimester's project is to make a table napkin holder. 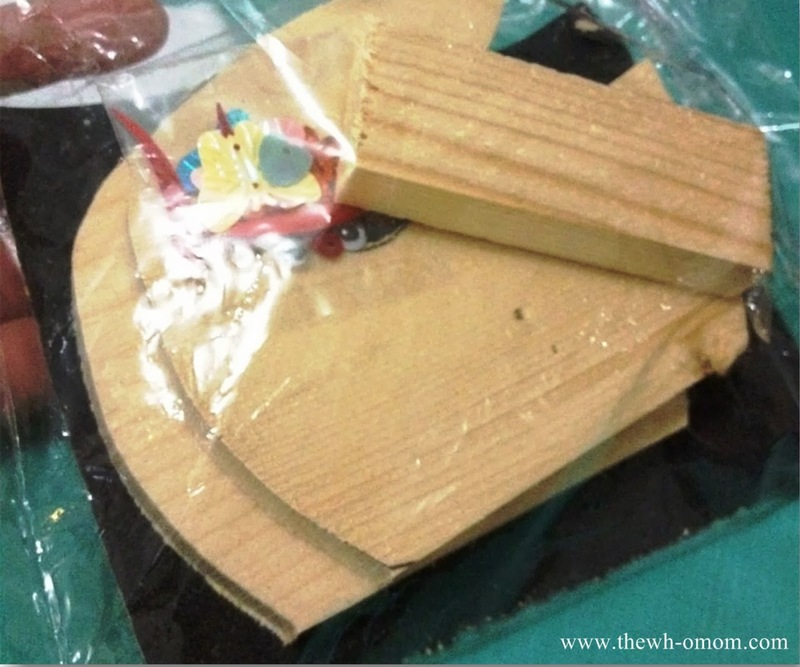 I am not a crafty person but all the materials including the wood are packed in a set. Instructions were given also; all I need to do is to assist her in doing it. 1. Get the sandpaper. Use the grainy part to polish the rough surfaces of the wood to smoothen its edges and sides. 2. 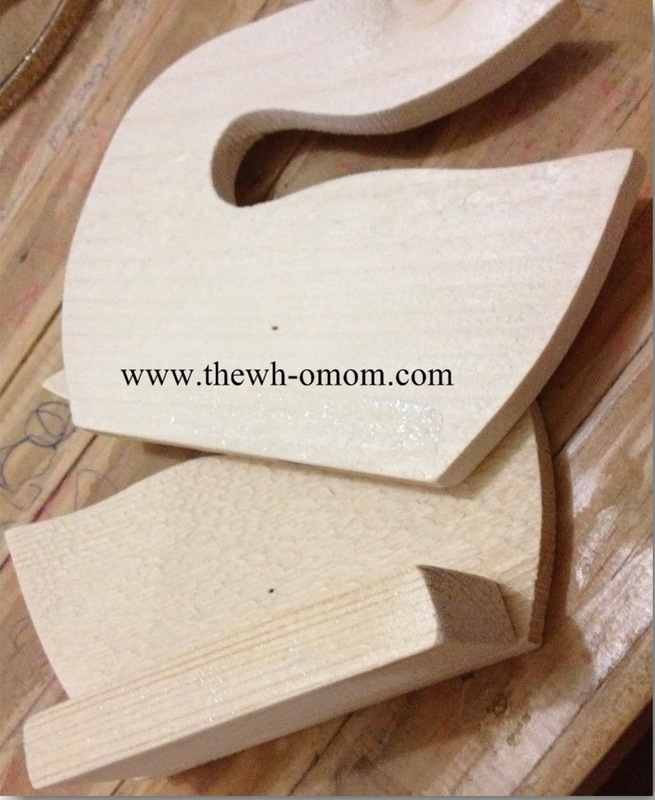 When the sides and edges are smooth enough, get the plastic of wood glue and cut a small opening. 3. Apply enough amount of glue onto the side of the base of the napkin holder. 5. Use the decorations to design the sides of the napkin holder. 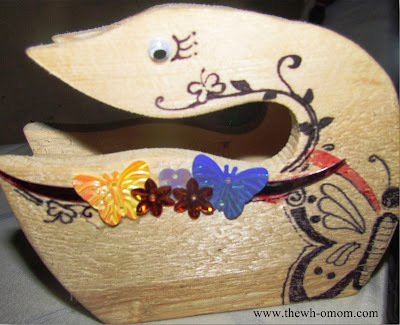 Since the shape of the napkin holder is a swan, put the two circles on the head part to make eyes and then decorate the body with flowers and other shapes available. You can even draw something like this. Meg and I are always together when going out. 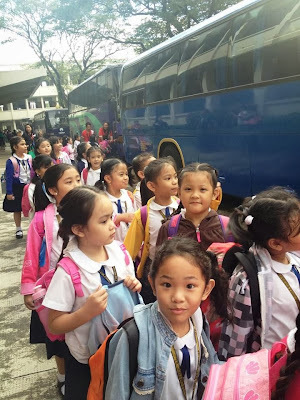 When the school told us that they would be having a field trip but parents are not allowed, I was a bit worried at first. You know, with my OC-ness and my being an OA Mom, I'm not sure if she can handle it already. 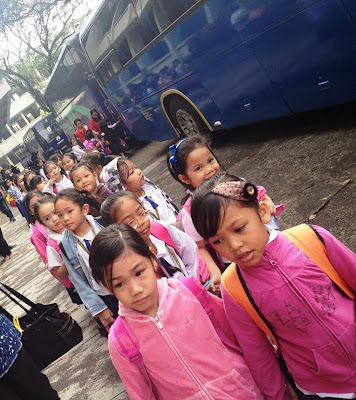 But because the little girl was very eager to join her classmates, I have no choice but to allow her. 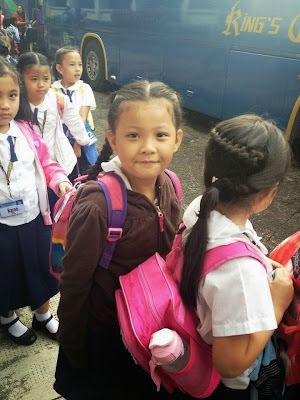 I prepared sandwiches and cookies for her baon and pork adobo for lunch. I can feel she's starting to get annoyed with my non-stop reminders already but what can I do? I'm one paranoid Mom! hehe... Anyway they went to Greenbelt to watch the Repertory Philippines' "Alice in Wonderland", Philippine Air Force Museum, and Dolljoy Gallery Museum. The super stage mom strikes again! 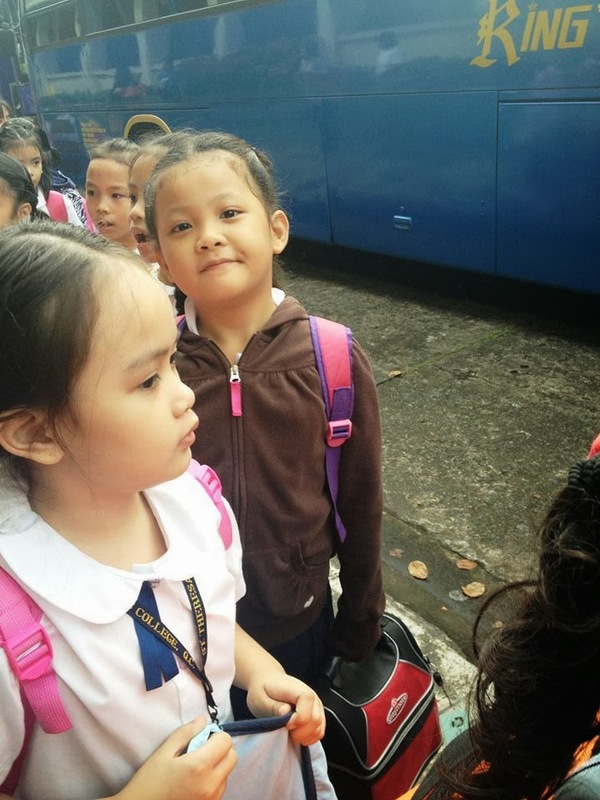 I feel like I'm starting to be a carefree Mom, choz! 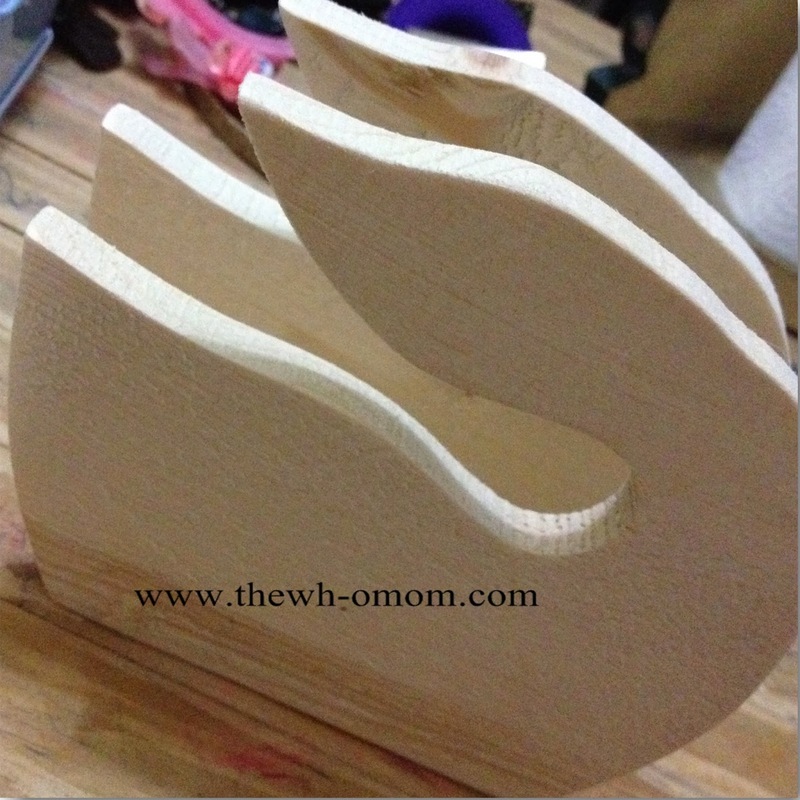 You Mommies, do you worry too much? I admit I don't feel good about myself sometimes. Err maybe all the time? You know, I'm not that pretty, I am fair-skinned, and I am FAT. Yes I am not this big before but due to certain circumstances a.k.a katakawan and no discipline, I gained so much weight without realizing it. I know it's not defensible and I need to do something about it but since it will take more time to lose so much of this fats, I just need to focus on prettifying myself. But how? I love wearing dresses and overlapping tops (because I'm fat? lol) plus cover ups. With my size, I usually buy from CLN and Terranova. Their clothes fit me well plus they are stylish. I also saw a very chic cover up from Zalora. Look at the model from Zalora, so me! You can also pair this with a very comfy wedge. Super beautiful! I'm not much of an accessory person. I just wear a simple watch but when I started attending events as a blogger, I see the need to be trendy to look good. Maybe a collar necklace and a simple bangle will add to a very sleek look. I also love big bags (tote) that would fit everything in. I don't know how to apply a good one but I can say I'm slowly learning how to do it. Minus the eye part and contouring ha. I just blend my moisturizer, BB cream, and foundation then I apply a light lipstick. But choosing the right makeup for you might be confusing, I mean for me also. What I do is, I read reviews and recommended products from beauty experts. Different products can help you take care of your face. You should have a daily routine for it. I'm so happy there are a lot of beauty products at Zalora that you can choose from. Makeup, hair care, different tools and accessories for applying makeup, and also products for skincare. Perfect! You don't need to go around the mall, you just have to browse and click, so easy! 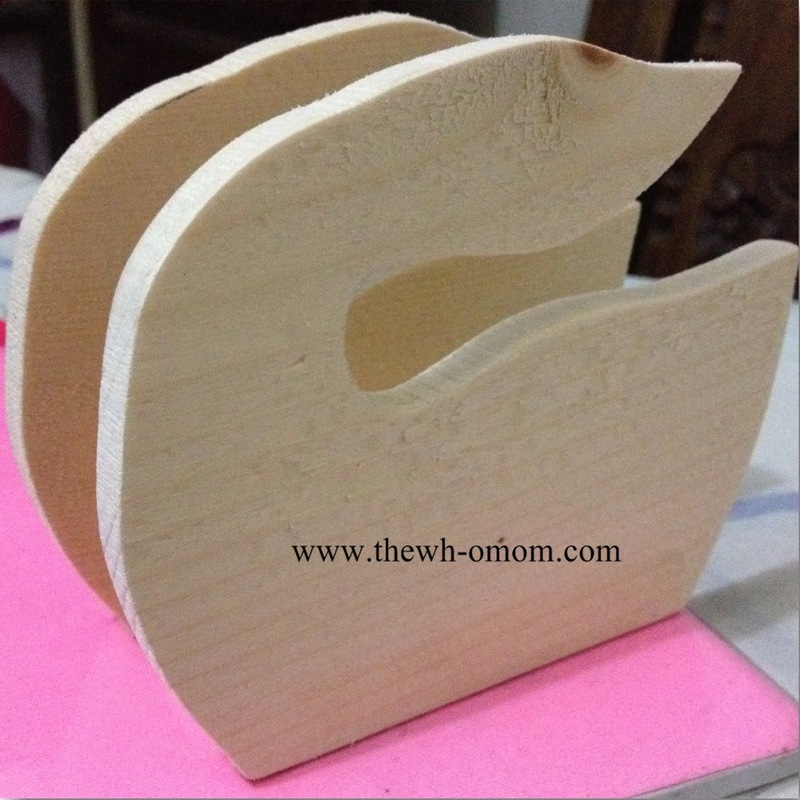 It is a good site, there are so many great products and some are even on sale. It's not just for fashionable women; even Moms like me who don't have the time for looking good can find many things at Zalora. Press Release: RUN and help our kababayans in need with the first-ever Superbook benefit fun run dubbed “READY… GIZMO…GO!” happening on December 14, 2013 at the Bonifacio Global City. Warm up starts at 4:30 am and the official gun start for the 10K run is at 6:00 am. 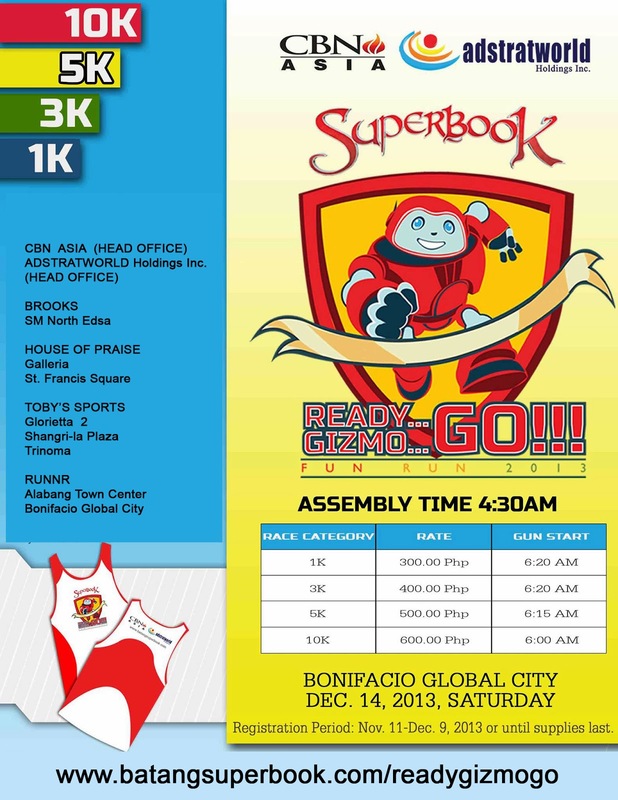 Join Gizmo, the Superbook agents and other Superbook lovers as they make “every kilometer count” and contribute in raising funds for the disaster relief operations of Operation Blessing, the humanitarian arm of CBN Asia. Various OB Teams have now set up a base camp in the most hard-hit areas of Super Typhoon Yolanda distributing relief goods, doing medical missions and trauma counseling.